It was a normal day in the routine of Madhwacharya. He had just completed giving his discourse on his favourite Aiteraya Upanishad in the Ananthashwara Temple in Udupi. Many of Madhwacharya’s disciples, including Trivikrama Panditacharya, Hrishikesha Theertha and others had attended the discourse and they were all marvelling at the scholarship of their Guru when he suddenly disappeared. Trivikrama, who had been converted from Adwaitha to Dwaitha, was puzzled. He did not know why his Acharya disappeared every day at a specific time and why he returned afterwards, glowing with energy and looking radiant. Trivikrama asked his colleagues but all they knew that their Guru went to Krishna to offer Naivaidya and he returned after some time. Beyond this, they did not know anything. Trivikrama then resolved to find out the answer himself. He began accompanying Madhwacharya to the Krishna temple everyday. The Acharya and Trivikrama would go to the Sanctum.While Trivikrama stood outside chanting Dwadashi Stotra, the Acharya would go inside offer Naivaidya to Krishna ring the bells and come out. This was the routine that the Guru and his Shishya followed everyday. One day even after the time for Naivaidya was over, the bells did not ring. Nor did he hear any sound of Pooje or any activity from the sanctum. Curious as to what the acharya was doing, Trivikrama opened a small window and peeped into the sanctum. What he saw astonished him and filled him with great happiness and contentment. He saw all the three avatars of Madhwacharya worshipping Gods. He found Hanumantha, the first avatar of Madhwacharya worshipping Rama and Bheema, the second avatar folding his hands and praying to Krishna. The third avatar of Madhwacharya, he found, was praying to Vedavyasa or Narayana. Trivikrama thus saw all the three avatars and all three incarnations of God at one time and one place. He realised that he had been blessed and privileged to see the Gods at one place and one time. He realised the holiness of Madhwacharya and then and there decided to compose a hymn praising Madhwacharya. This hymn was the Vayu Stuti or Hari Vayu Stuti. It is the usual practice to chant it standing. The two-line Narasimha Nakha Stuti is chanted at the beginning and end of the Vayu Stuti. This is because when Trivikrama presented this composition before Madhwacharya, he composed this two lined Stuti and added it to what Trivikrama had written. Madhwacharya did not want the Stuti to be in his praise only. Therefore, it is also called Sri Hari Vayu Stuti. The Hari Vayu Stuti comprises eight sections of 40 paras. 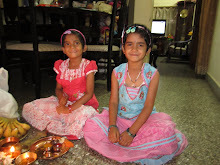 The two shlokas of Nakha Stuti, prefixes the Shloka beginning with mangacharane (6 shlokas), followed by Moola vayustuti (10 slokas), Hanumantha avatara (5 shlokas), Bheemasena avatara (7 shlokas) and Madhwa avatara (12 shlokas) ending with one shloka of Phala Stuti. Thank you too Mr. Prasanna Harapanahalli. Thank u Samyuktha Harshitha, But Pls tell can women Chant this Shloka, If yes, the Procedure. As I have already written to you, I have stopped chanting this and I am going to recite Shri Madhwanama in Kannada. Well, this is a tricky question. I will base my answer on the Shashtras and I will go by it. Sri Hari Vayu Stuti is generally not recited by women. This is because it has to be recited with extreme madi and it has Omkara which should not be recited by women. Shastras in earlier days said since women get periods, they should not recite certain slokas. You may now ask me whether today men are pure and only they have the right to recite Vayu Stuti. Well, I have no answer to such queries. You see, this is Kaliyuga and we find people doing things as they want and it is difficult to convince them about what is right and what is wrong. To ensure that women too received the benefit of such a sloka, Sripadaraja of Mulabagal composed Madhwa Nama. You can recite this is Kannada or sanskrit. Well, about your personal problems, I can assure you that everything can be solved whatever problem they be. In case you want some help, let us know and we will be only too glad to do so. Thank you for sharing wonderful insights on the sthotra. Is it a rule / convention to chant it standing?? Till date I was sitting and chanting it. Please do clarify, many thanks ! !